In the last week, my grandchildren reached academic milestones. The twins took part in their promotion ceremony ending their elementary school years. They will be moving on to middle school in August. My oldest granddaughter graduated from middle school and will be starting high school; the same high school her parents attended. My conversations with these three very important people in my life, and the types of interactions we have, are changing. Sometimes, when I visit them, they quickly greet me then take off into their bedrooms to do whatever they were doing. I barely see them during my visit. Other times, I’ll get into a conversation with one of them where I will gain insight into the person he or she is and is becoming. My grandkids know my values. They know what I want to hear and how to appease me. I want more than that in my relationship with them. I want them to be real with me. I get glimpses of realness at those times when they share about the things that are really important to them. For example, my oldest granddaughter shared about how she started a business making and selling Slime. It gave her such satisfaction that she now believes that after college she would prefer to be an entrepreneur than to work for someone. It was such a thrill to be privy to the dreams she is formulating for herself. I got to witness my grandson deciding to attend a family gathering rather than his sister’s softball game. His reasoning was that his great grandmother may not be around for much longer, so he wanted to take advantage of the opportunity to spend time with her. My daughter and I were touched by his compassionate heart. 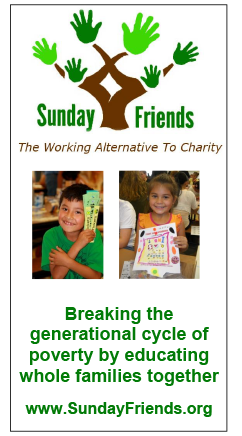 As pre-adolescents and adolescents, grandchildren are often consumed by their lives with friends and their own interests. As grandparents we can remain connected to them if we take an interest in that which is important to them. We can remain relevant if we are genuine about listening to them and accepting them as they are. Now that they are older, we have opportunities to just be with them doing fun activities without having to watch over them as we did when they were little. I am enjoying sharing in this time of blossoming and maturing. It will not always be easy for them. I want to be able to love them through their trials and well as their victories, and I want them to feel that support from me when they need it.